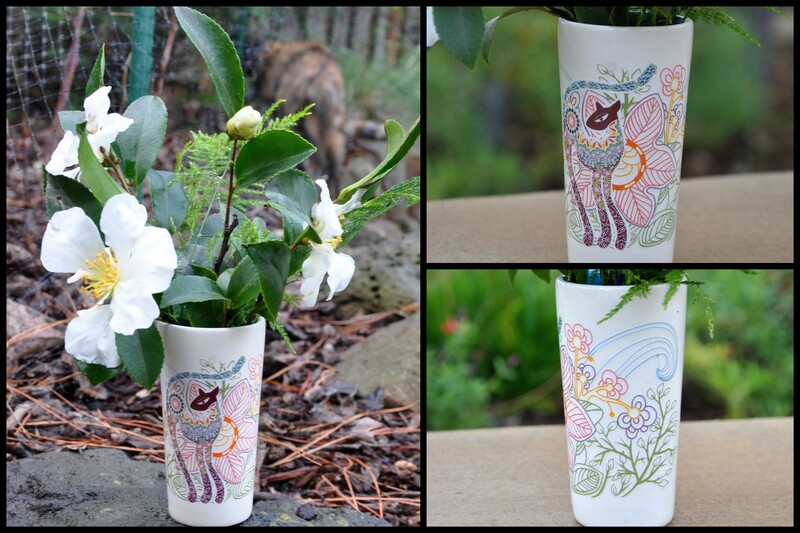 This week, it’s all about the vase. I don’t generally buy travel souvenirs but how could I resist this charming little vessel? I spotted the vase on our final day in Puerto Vallarta. It’s small, perhaps the size of a tall shot glass. Once wrapped in protective paper and I stashed it in my purse for the trip home. Scale is everything with a vase this small. 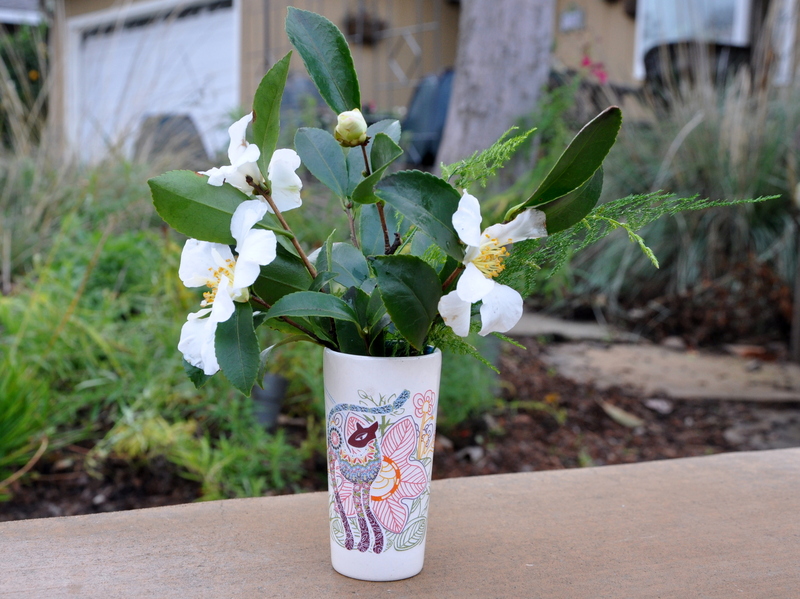 I scouted my limited winter choices and decided on three white camellia camellia japonica and a few sprigs of my beloved fern. 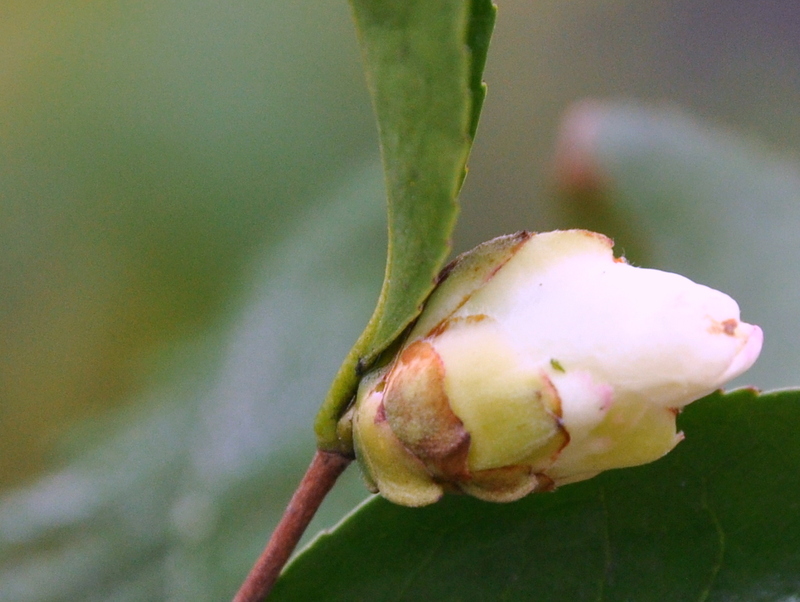 The petals were already dropping, so I don’t think the arrangement will last the week, unless this pretty bud opens up. I love that faded pink on the tips. 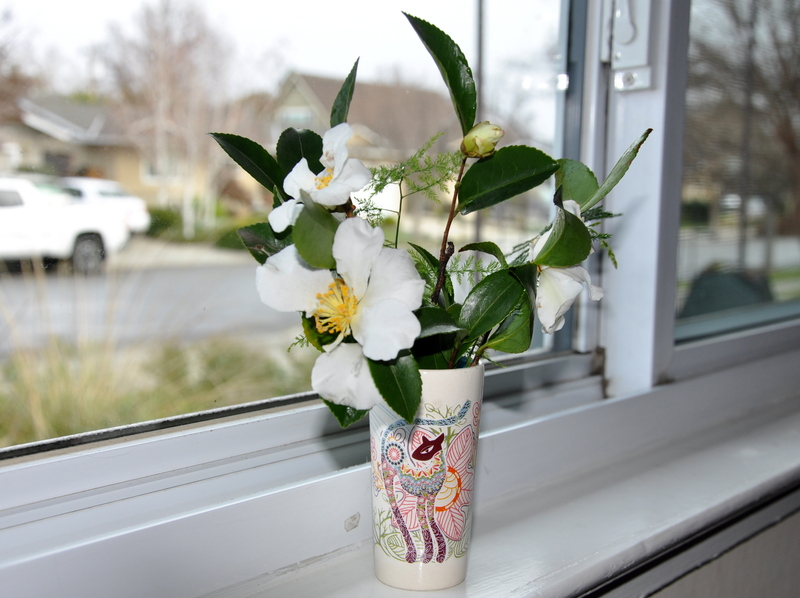 As it turns out, several bloggers join the In a Vase on Monday feature. It was nice connecting some of you last week. 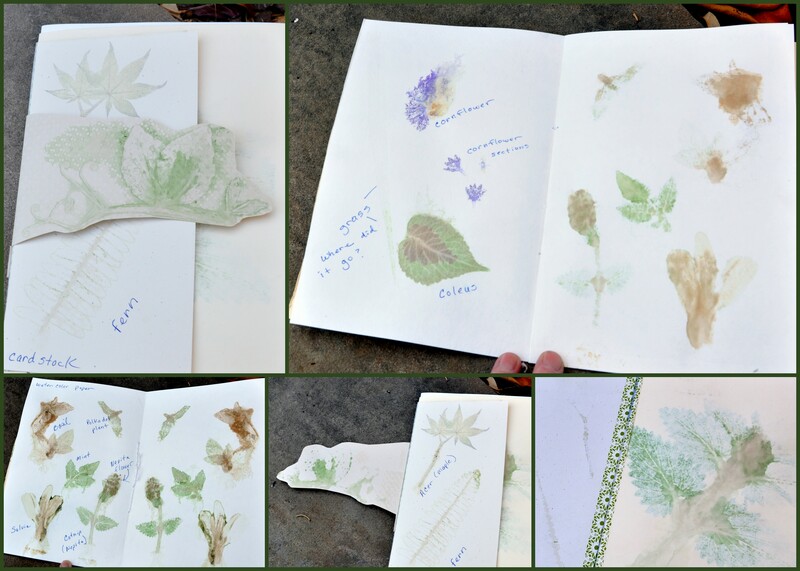 Thank you Cathy at Words and Herbs and Cathy at Rambling in the Garden for your ongoing inspiration. 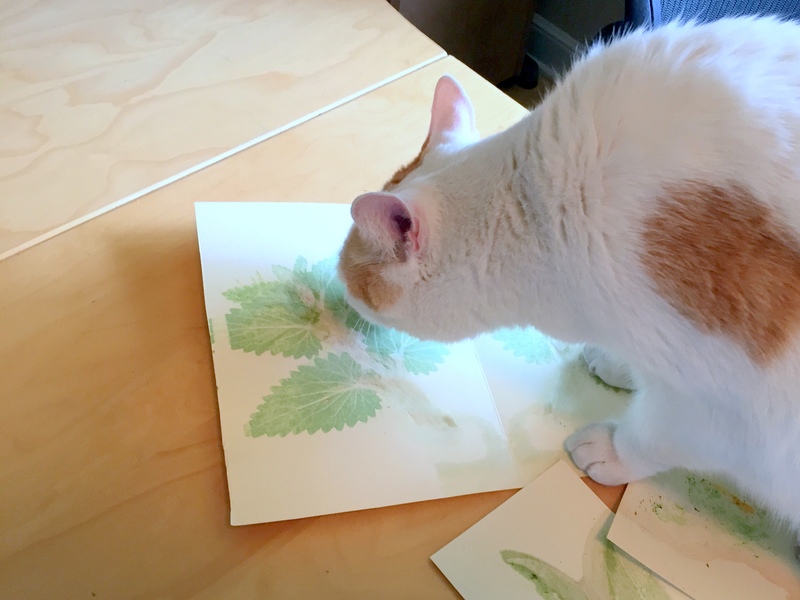 Transferring the image of a leaf to paper has been around for years. It’s only recently though, that I learned of a technique using a Big Shot, one of those crafting tools I’ve put off buying for years. Dawn, who blogs at Petals. Paper. Simple Thymes created these beautiful cards using the technique. Dawn’s post and her stunning cards were the impetus I needed. I bought a Big Shot so I could give the technique a try. 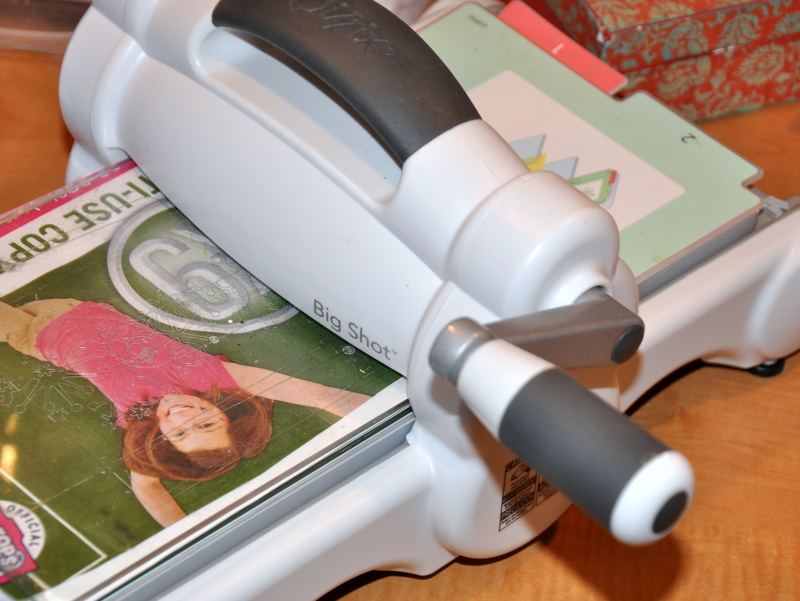 I’m sharing the Big Shot tool with my sister, Sharon, who makes all of her own cards. We bought some fun dies for her to use for her holiday cards this year. 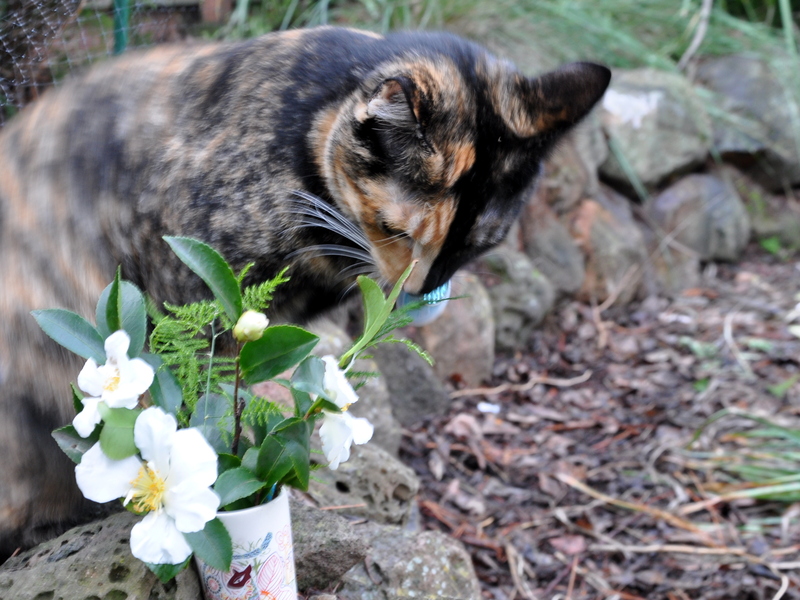 As Dawn says, this is a wonderful opportunity to combine two loves: gardening and paper crafts. The technique is simple. 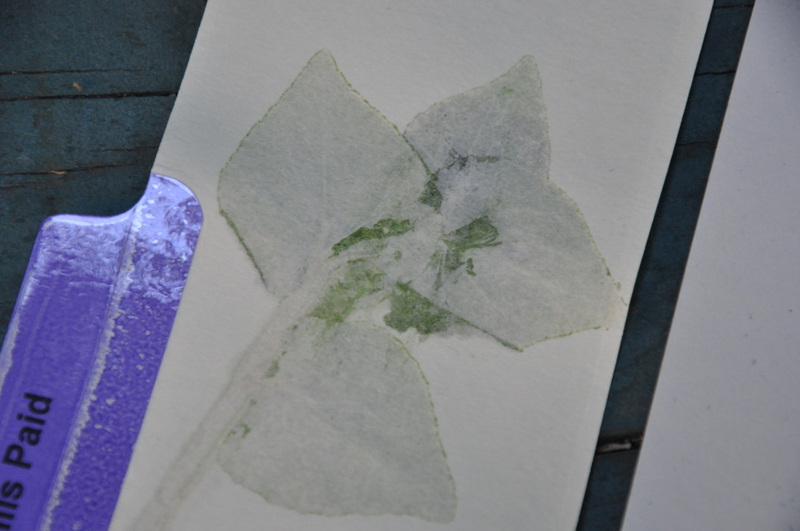 You sandwich a leaf or petal between a folded piece of paper, run it through the Big Shot, and the green pigment created by the chlorophyll transfers to the paper. As Pauline King would say, I’m at the messy stage of this process. I’ve yet to make a single card, but not from lack of trying. I gathered several scraps of paper from my stash to get started, including an old file folder, card stock, old-fashioned typewriter paper and vellum. 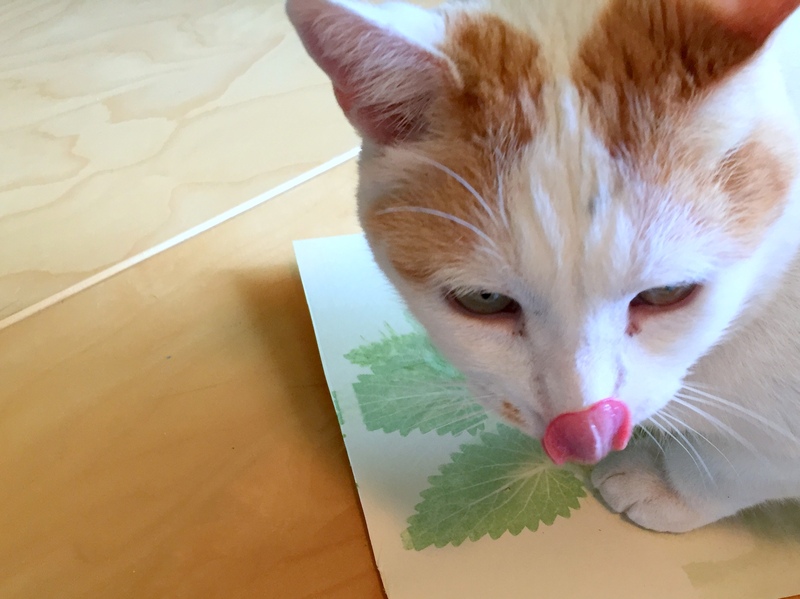 I quickly learned that all paper is not created equal. In the end it was a scrap of watercolor paper that worked the best. 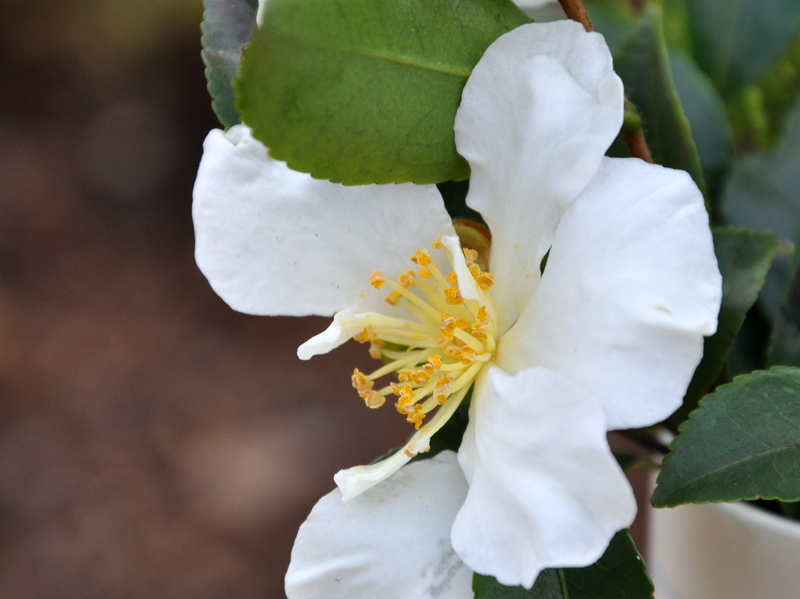 It absorbed some of the natural moisture and showed off the texture of the plant material to good effect. My collection of leaves were a mixed bag as well. 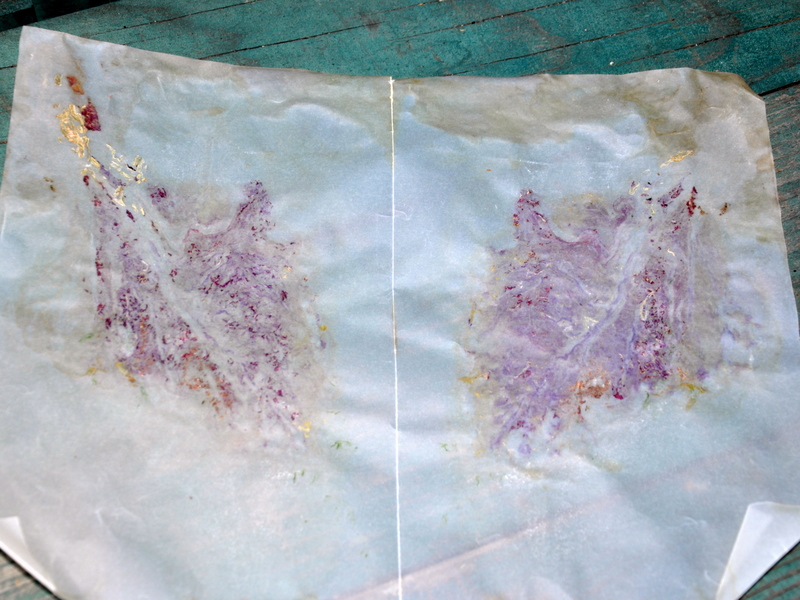 Some were so wet and juicy, that they produced images that were half leaf imprint, half splat. My prints are definitely not ready for prime time, but I am having fun. 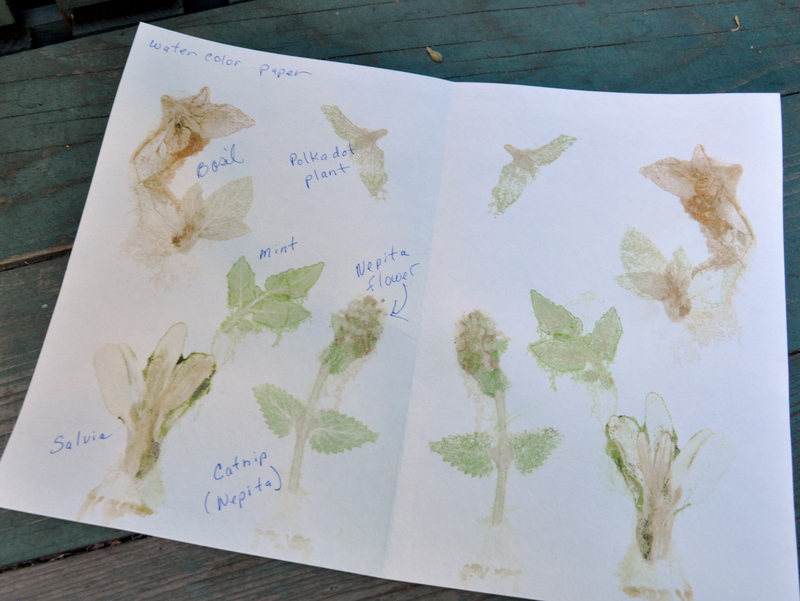 I’m still trying to get a good imprint from my coleus leaves. They’re a beautiful mix of red and green and sometimes purple. They’re also heart-shaped. If I can manage to get the impressions just right without the extra moisture they’ll look terrific on a card. 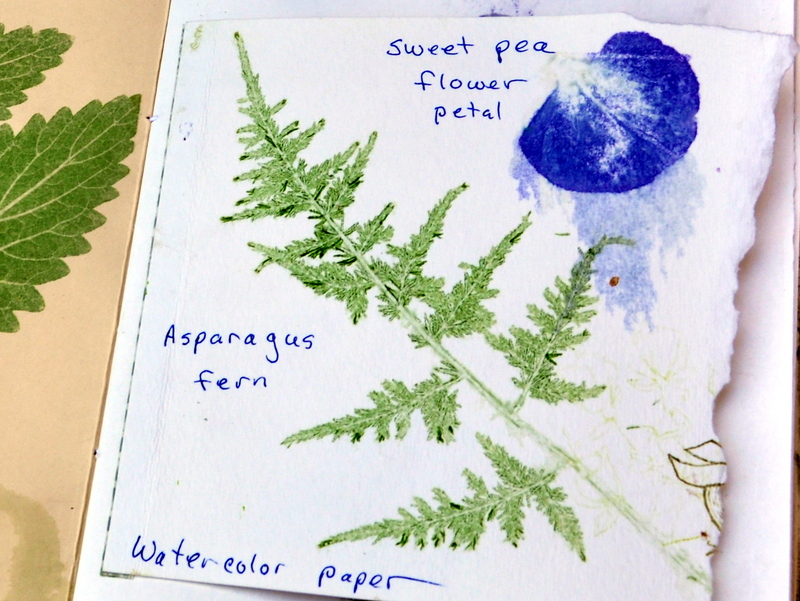 My favorite imprints so far are the fern and the Nepeta. This imprint is from my lacy fern, a plant I’ve carted around with me for nearly thirty years. It went from a small, seventy-nine cent plant on my nightstand, to owning a corner of our garden. I love it. The Nepeta or cat nip also transferred well, and comically, retained some of its potency. Mouse the Cat hopped up on the desk and enjoyed the scent. I’ll keep experimenting and hope to eventually have some bona fide cards to share. I tossed the small samples, but gathered the rest of them into a sample booklet, held together with baker’s twine and a few strips of Washi tape. Have you been working away at a technique for a while with mixed results? Let us know in the comments below. In my apartment-dwelling days, I did most of my decorating with live plants, including these ferns. 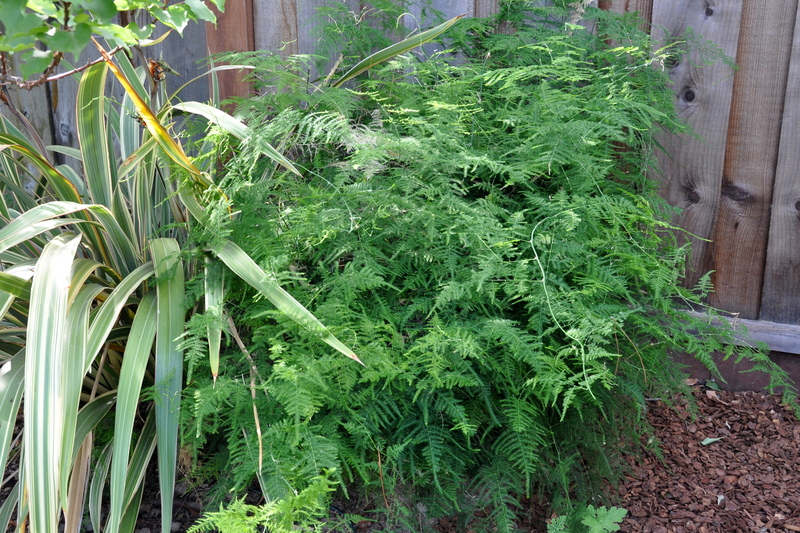 My Asparagus Plumosa started out as two, seventy-nine cent house plants. They lived on a lace-covered trunk next to my bed in Campbell, until they started to outgrow their pots. The plants came with me from Campbell to San Jose and eventually Fremont, then back to San Jose. When we bought this house in 1996 my tiny ferns were in a pot too big to lift alone. By then the thorns were mighty fierce. It would be a challenge to transplant. I let it be for a few more years, but the sides of the large, plastic pot started to crack. Worried that the plant would die with so little leg room, Mike maneuvered the pot, split the sides and planted the fern where in now resides. The roots were happy to be free from that pot, and the fern lives on. I wish I had pictures of my traveling fern in those early days. Do you ever wonder how we managed life before digital? 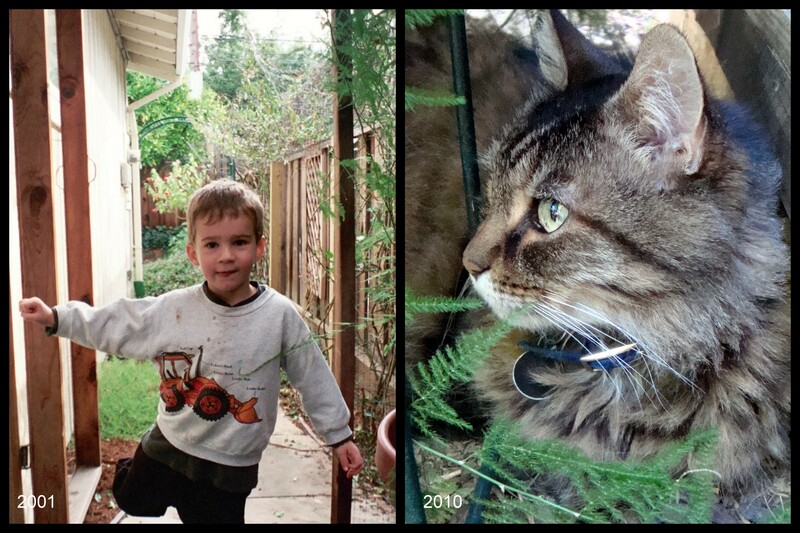 Back when film was at a premium, and you had to pay to develop photographs, you chose your subject wisely. Digital photography is liberating. Thank you, Boomdee for your July 15th comment. It inspired this post. 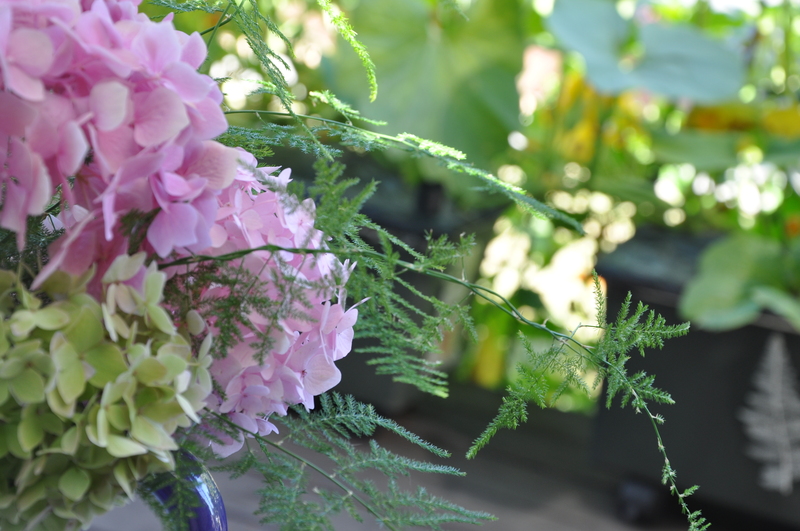 Flowers and fruits are the focus of many a blog, but in the cool, quiet corners of the garden, ferns flourish. Fronds unfurl curling upward as they unwrap from their coil. Sword ferns, native to North America, favor shade as they fearlessly stand guard beneath the orange tree. 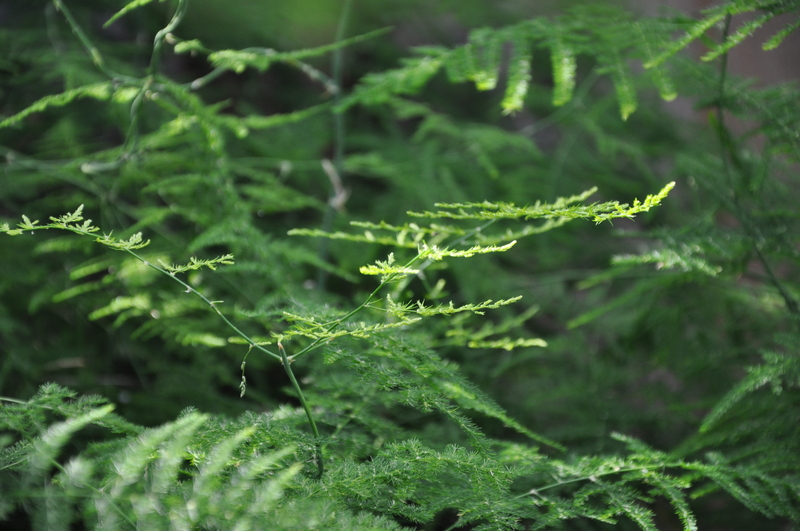 Asparagus ferns are fond of climbing and twining, sending out long straight shoots. Within a fortnight, feathery emerald leaves should follow. To ensure the well-being of the garden fairies, I created what I hope will be an inviting entryway. 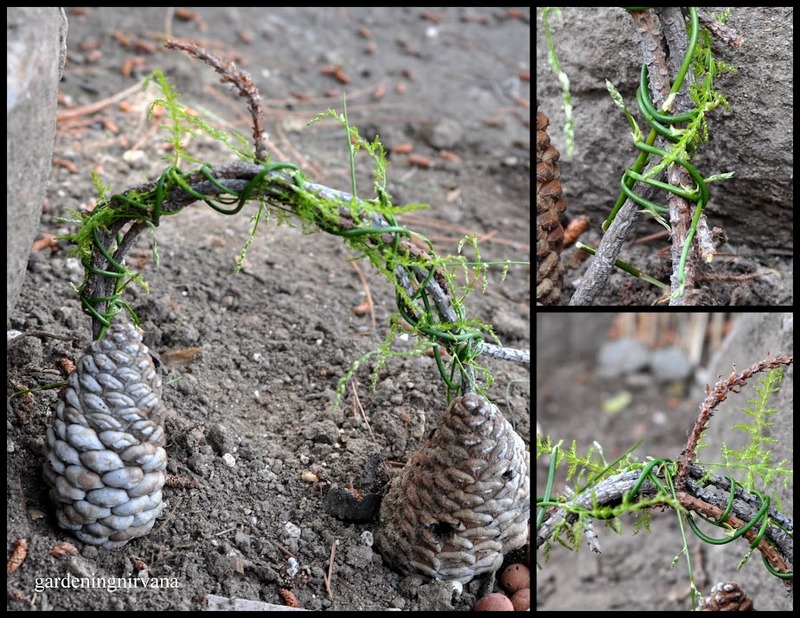 I braided three soft branches from the overhead pine, then wrapped them in tender shoots of Asparagus fern creating a gentle arch. A pair of pine cones flank the arch for stability. The airiness of the ferns should appeal to the light-hearted nature of garden fairies, so that crossing the threshold is a delight. While my fingers remained nibble, I braided a lavender bed. Lavender contributes to a calm sleep, also essential to general well-being. I lashed the corners with tall grass using simple knots to keep the corners united. The bed is tucked into a sleeping loft in the crook of one of the rocks . I found a beautiful mound of moss under the garden swing. If I’m successful transplanting it, the cool moss will make a lovely addition to the fairy home interior. More news tomorrow. One by one, the root-bound spider plants relocated to the fence line. We jokingly refer to that area of the garden as the back-forty. 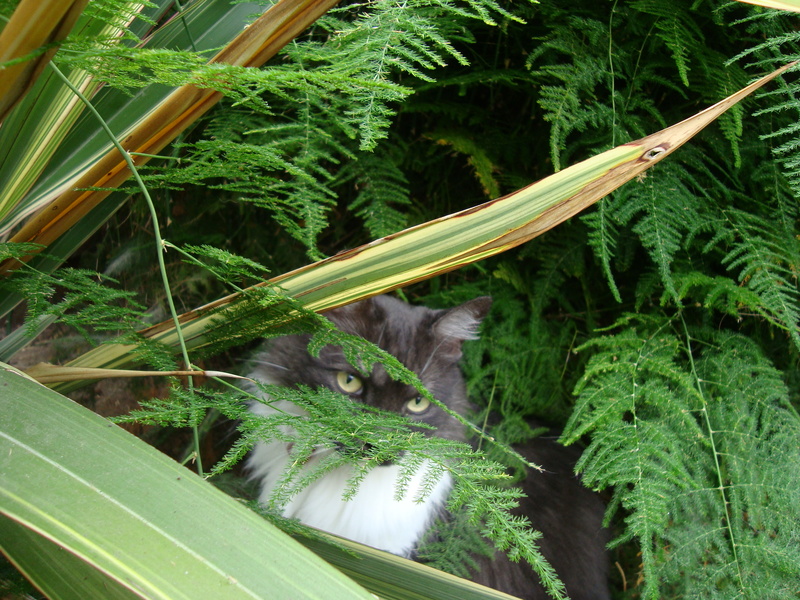 It’s also where big, hairy spiders go, so they can do their garden business without scaring me on my daily rounds. The back-forty is a transitional home for plants who’ve outgrown their pots but don’t currently have a good place to go. 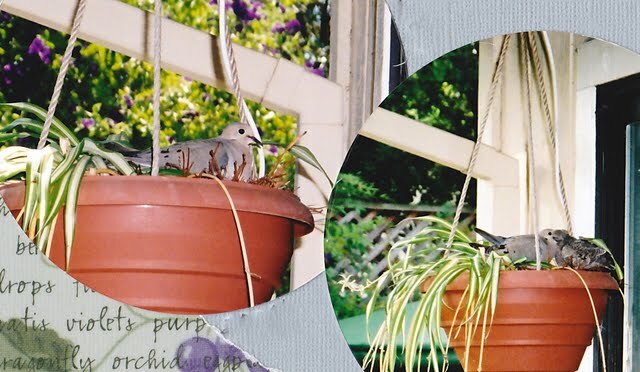 One of the potted spider plants sheltered a nest of mourning doves one year. Eventually the pot was too crowded for a nest or a plant. Time to visit the back-forty. Sometimes I empty a bit of soil left in a pot, and a forgotten bulb rolls out. I give it a toss into the mix and carry on with my gardening chores. It’s every plant for herself back there: find a place to put down your roots, or move over for the next plant. Since nothing that we’ve purposefully planted under the pine tree lives for very long, I’m hoping my stealth plan takes root. Two spider plants and an asparagus fern have been up to the challenge so far. The acidic soil and shade agrees with them and they seem impervious to a steady shower of pine-needles. At the rate they are multiplying, the back-forty relocation plan is looking like a success. Gardeners know that hope springs eternal or perhaps it’s spring that brings eternal hope.